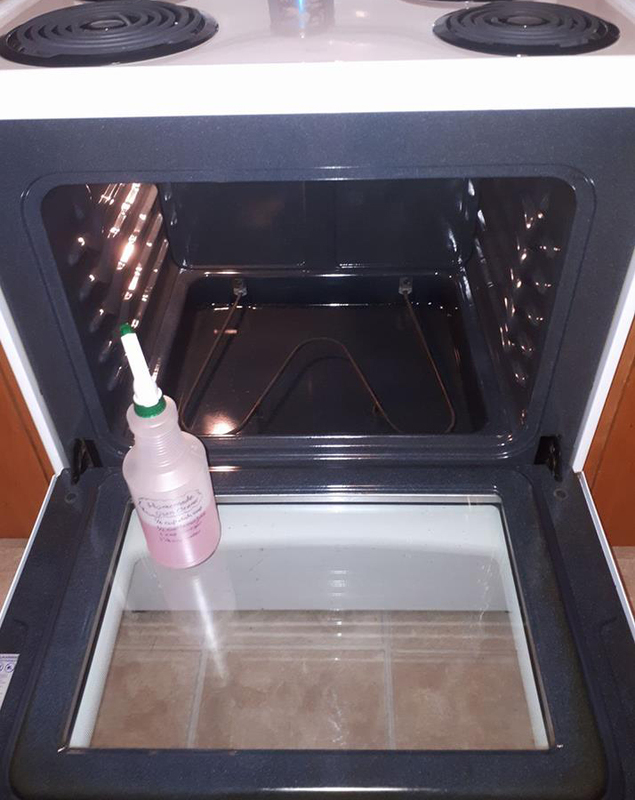 This is the most amazing oven cleaner. It really works. Let us know if you try it. Shake gently to combine ingredients, spray your stove. Let sit for a little bit and voila, a brand new looking stove!!!! !